One of the many ways to justify our moribund music culture is to resort to a kind of romantic formalism. We might have very few subcultures, protest singers, or countercultural bastions right now, but we do have a huge amount of baroquely decadent music that is formally interesting even if it isn't all that socially meaningful. Indeed, it's hard to envisage that 2010s pop won't leave behind hoards of riches for posterity to ruminate over. In the Fifth Millennium, whole strata of the earth's crust will be littered with iPods crammed with hypnagogic curios, laptop experiments, acid-hip-hop experiments, perfect Scandinavian pop, and folder upon folder of myriad techno obscurities. Hindsight might look back at the early-twenty-first century as a peak of eclectic variety and sheer quantity, if not of groundbreaking quality. 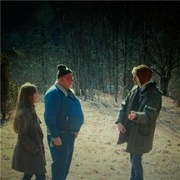 Enter Dirty Projectors. Dave Longstreth's continuing experiment in eclectic academic pop isn't likely to soundtrack an insurrectionary response to the next geopolitical crisis. But it is what people would once have called 'avant-garde' in a more subtle, formalist sense. New album Swing Lo Magellan extends and refines the formula of 2009's Bitte Orca: this is insanely sophisticated hipster art from a gilded age of digital production. If it seems weirdly and even sadly cut loose from anything going on in the world right now, this isn't exactly Longstreth's fault. In a privatised culture that thinks collective experience is a singalong at a Noah and the Whale gig, Swing Lo Magellan's maverick individualism is probably the best we can hope for, for the time being at least. Longstreth has spoken before of his fondness for "albums like Revolver that feel like an art project completely divorced from live playing", and right enough, it's difficult to imagine Swing Lo Magellan becoming the Soundtrack to Your Festival Summer. Like the mid-period Beatles records whose recording techniques were so obsessively documented in Ian MacDonald's Revolution in the Head (reputedly a major influence on Longstreth), this is an album that seems to spring from an indoor world of cerebral textures and bedroom experiments, a headphone odyssey for an era in which the rock gig has become a corporate-sponsored burlesque. But where Animal Collective and countless chillwavers try to compensate for the shift indoors that comes with laptop-oriented songwriting by building echo-drenched aural cathedrals, Longstreth uses a more nuanced sound palette that is by contrast strikingly warm, organic, and intricately drawn. From the bone-dry snare drums and folk guitar of the title track to the erratic pinball machine percussion on 'See What She's Seeing', SLM derives some startling effects from the minutiae of its arrangements. Maximalism might be the new game in town, but Longstreth is an unrepentant sonic minimalist. For some, the stripped-back approach will come as a disappointment. Aside from the acid guitar blasts in opener 'Offspring Are Blank' and the stuttering rockist wig-out 'Maybe That Was It', the sort of assertive confidence that made Bitte Orca such an irrefutable pop statement is largely missing. 'Gun Has No Trigger' does its best, but nothing on SLM rivals the laugh-out-loud brilliance of 'Stillness Is The Move'. There are some extremely dodgy moments when the spectre of nu-folk looms like an ominous cloud (see 'Irresponsible Tune', 'Unto Ceasar', the title track), and when the folk touches combine with Longstreth's voice at its most squawking - most disastrously on cornball lowlight 'Dance For You' - the results can be frankly a bit irritating. But for all its misfires and occasional lack of grit there's no need to caricature Swing Lo Magellan as a twee anti-modernist retreat or a return to roots. Cynicism is the beast that threatens to destroy us, and it would be daft to dwell for too long on the limitations here. If it diverges in small ways from its predecessor, SLM is on the whole a worthy sequel to Bitte Orca, a continuation of an art-rock trajectory that we can't really afford not to follow along its recalcitrant, wayward path. Again, we have to remind ourselves that with the DProj the glory is in the details. There's a basic primal glee in encountering Longstreth's psychedelic neologisms as they crop up: the eerie Disney-noir harmonies of 'Offspring Are Blank'; the moment the drum track on 'See What She's Seeing' descends into a glorious polyrhythmic mess that bears absolutely no relation to the straight-faced vocal; the bit about two-and-a-half minutes into 'About To Die' when Strawberry Fields cellos suddenly and surreally collide with a Fugees-esque drum break. The highlight by far though is 'The Socialites', a hipster-baiting ballad with a gorgeous lead vocal by Amber Coffman. It's so rare to come across genuine originality in twenty-first century that when it happens it can be quite shocking. 'The Socialites' might not herald a revolution in pop culture, but it does sound like nothing ever produced before. The guitar line couldn't really have happened before Battles, the vocal wouldn't have sounded the same way without Beyoncé, the synths are weirdly wonky, and Jesus Christ only knows where on earth Longstreth got that drum track from. If this all sounds a bit muso, a bit prog, then Swing Lo Magellan is a testament to the fact that "progressive" doesn't necessarily have to be a dirty word in 2012. This is one new form that suggests an escape route from retromania, a treasure trove of small-scale eccentricity that would be even more impressive if it felt like more than just an aesthetic revolution in one man's head.